Creatine, Glutamine and Taurine is an old, well-tested and very effective combination for rapid recovery and gaining muscle mass. These three ingredients will give you everything you need for a complete workout. Equally suitable for both beginners and advanced athletes. 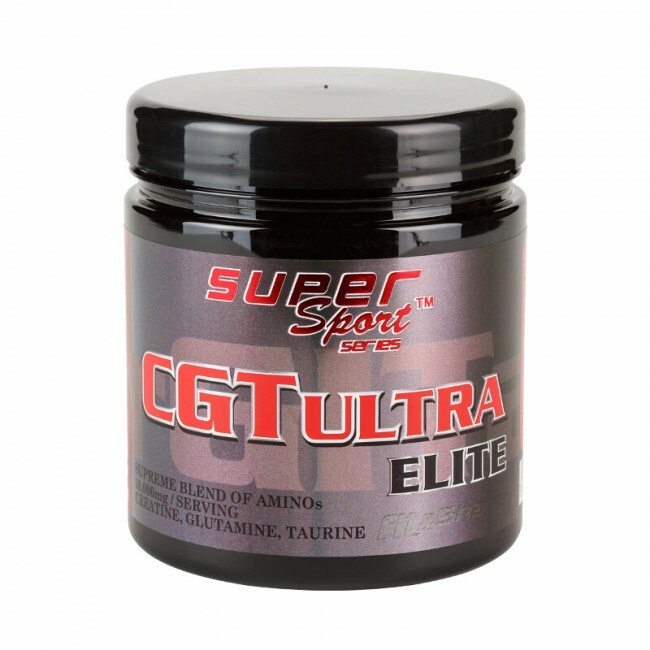 Creatine-glutamine-taurine is an old, well-tested and very effective combination for rapid recovery and muscle mass gain. These three ingredients give you everything you need for a complete workout. Equally suitable for both beginners and advanced athletes. Our concentrated formula gives you 50 servings per pack - without carbohydrates, which makes it perfect for intake even in the evening. The best quality with the best ingredients at the best price. Nothing more, nothing less! 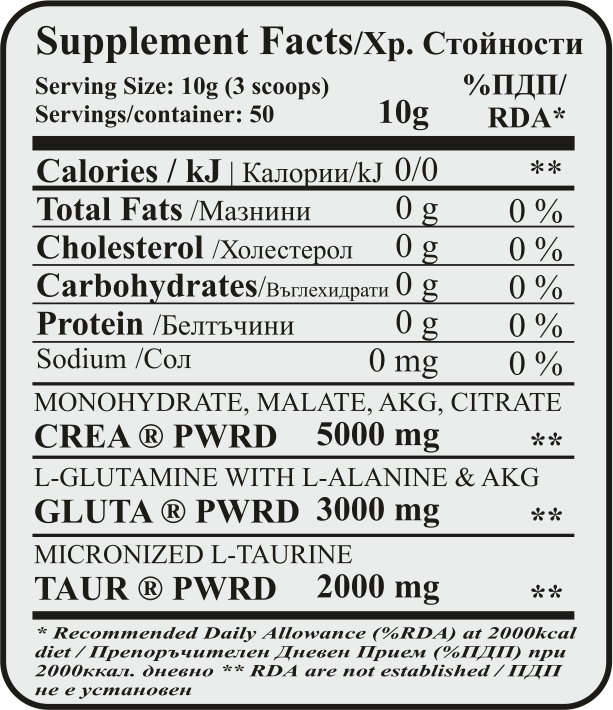 INGREDIENTS: Micronized creatine monohydrate 200 mesh, tri-creatine malate, alpha-ketoglutarate, creatine citrate, L-glutamine, L-alanine, L-glutamine, alpha-ketoglutarate, micronized L-taurine.